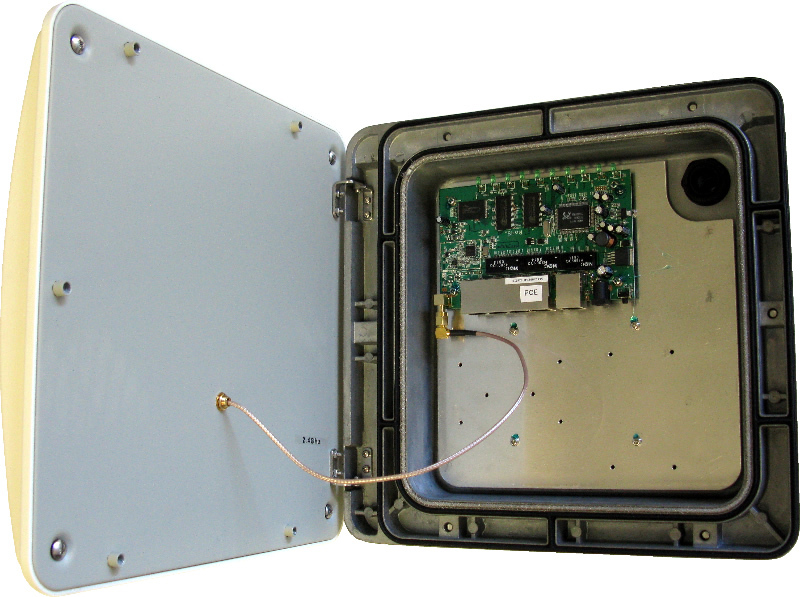 Manufactured by RadioLabs, the GS1000 is a high performance, long range 802.11 B/G bridge/client/access point. 5 mile WDS- enabled line of sight bridging and up to 10 mile connection with ease! Complete Radio/Antenna and POE bundle. Have us pre-configure your bridge kit for you. RadioLabs powerful 400mW 802.11 B/G radio. No software required. Runs with any PC and can even be programmed through a PDA or cell phone browser. 128-Bit Security Encryption. WPA and WPA2 (TKIP/Pre-shared key) support. Invisible SSID in WDS mode. Built in Power Over Ethernet to LAN port (POE Injector Included). 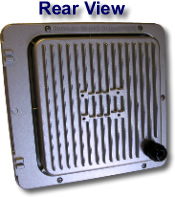 Built-in 16dB hinged directional antenna. Advanced AP functions, including Access point mode, repeat mode and bridging. 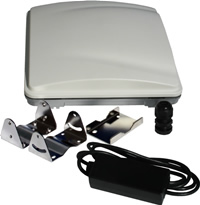 Weather resistant fiberglass antenna Radome. Remote administration through web browser, or can be programmed remote via internet. 802.11G Bridge/Client System for instant, long range wireless connections. 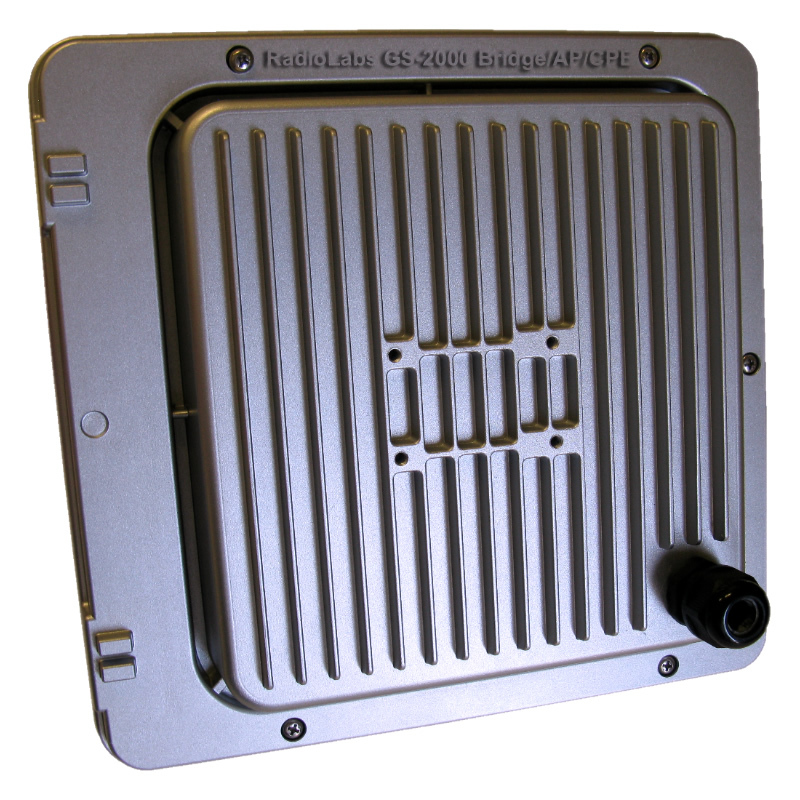 RadioLabs NEW and Improved GS-1000 bridge/client system is the easiest to install and most cost-effective solution for long range network connections. Built around a completely rugged NEMA 6X aluminum heat sink enclosure, the GS-1000 is completely weatherproof. The 400 milliwatt high performance radio built-in to the GS-1000, combined with 16dB integrated antenna, permit long range bridging with very little setup. Most wireless routers and bridge solutions only provide minimal power and range. The GS-1000 provides up to 10 times the range of consumer grade wireless bridges or routers. 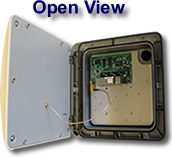 Our NEMA 6X enclosure is the highest quality aluminum enclosure made. RadioLabs now sets the standard for durability, environmental stability and impact proof protection of your wireless radio equipment. 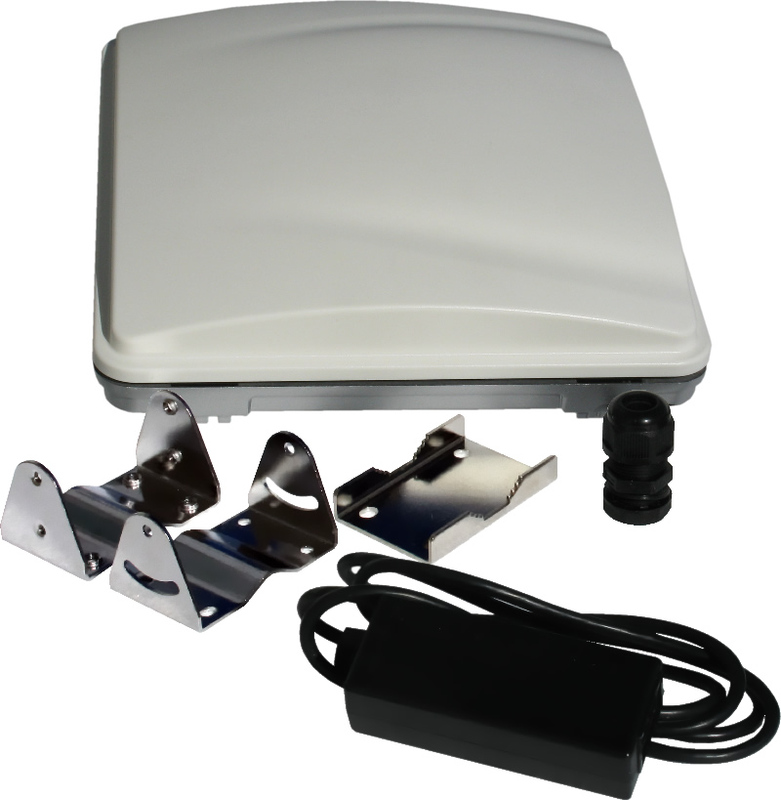 The flat panel on the surface will resist rain, snow and ice build-up and the heavy duty stainless steel mounting hardware will increase the life of your wireless installation for years to come. The GS-1000 is powered via POE technology (Power-Over-Ethernet) which allows you to run a single cable to the GS-2000 that provides power and data. Simply use the included POE Power Injector and 2 CAT-5 Ethernet cables (not included) to connect the GS-1000 directly to your computer, router, switch, or network hub. The simple installation requires no power extension cables or coaxial cable. Lightning fast setup time - The GS-1000 can be deployed within 5 minutes. Simply mount to a pole with the included mounting hardware, point the antenna, run the cable to your computer or router and your wireless connection is complete. You can access the internal configuration of each bridge via the built-in webpage administration. If requested, we can include WDS-bridging instructions with your GS-1000. The GS-1000 has the ability to work as a bridge, access point or even configuration as a wireless repeater system for instant connection to any other wireless system. RadioLabs Universal repeater mode allows instant repeating of any wireless signal, regardless of brand or make. Test drive the firmware! Security - The GS-1000 client/bridge can do what most of the competition cannot... Simultaneous WDS Bridging at the same time as WPA2 encryption. Our advanced firmware allows the most advanced encryption and bridging of multiple GS-1000 units simultaneously. 30 degree antenna pattern! Close counts in horseshoes, grenades and pointing the GS-1000 wireless system. Simply pointing the antenna and setting up the software can customize your wireless solution for any long range or backhaul application. For technical support or wireless solution advise, please call us at: 877-575-3700 toll free. Power Over Ethernet supply included, or can be powered with 7-12VDC power supply. Operating Temperature -20 °C ~ +70 °C Guaranteed specs.